Every now and then, I am amazed at the difference one person can make. In the case of Lake Placid, Florida, it was one couple. This little town of just over two thousand people lies on a ridge that runs up the center of Florida [the ridge is all of one hundred feet above sea level]. It has two nicknames. 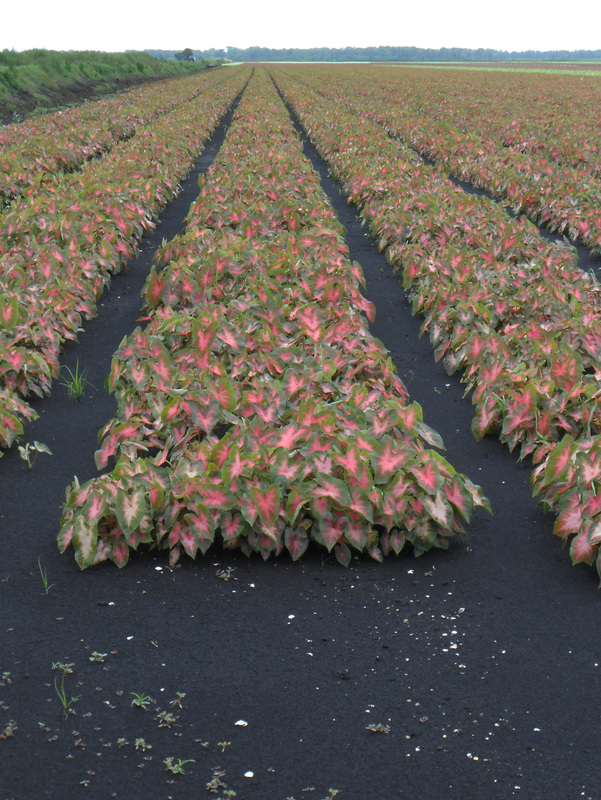 One is “The Caladium Capital of the World” because 95 percent of all caladium bulbs in the world come from the area. The other is the “Town of Murals” because of a program started by one couple, Bob and Harriet Porter in 1992. At the time, the town had fifteen empty stores, and many building walls were spotted with black mildew and mold. Just twenty years later, Reader’s Digest declared it “America’s most interesting town.” That may be disputable, but it is no longer a dying town and is certainly worth seeing. There are at least 48 large murals on building walls [they are still adding to the collection]. But unlike murals I have seen in many places on our travels, these are kept fresh. 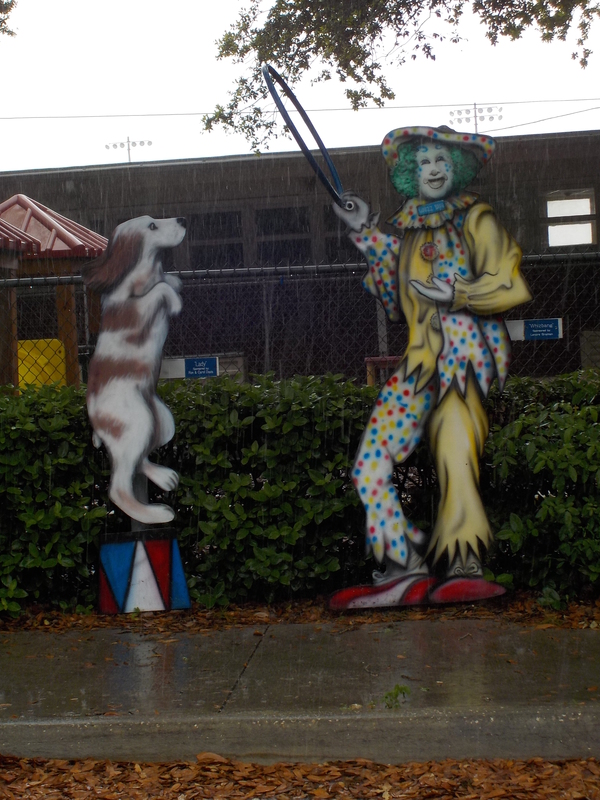 The Lake Placid Mural Society not only finds sponsors for the murals, it sees that they are maintained and given a protective coating to protect them from the Florida sun. The small Chamber of Commerce Building houses a “Mural Gallery,” shows a free nine-minute film about the creation of the Mural Society, and sells a mural book and mural CD to help your mural tour. Indeed, if you have a bus load of people, they will find you a “Mural Professional” to show you the way. 1995 “Cracker Trail” by Kieth Goodson; the brands on the cattle belong to local cattlemen. The store loading ramp blends into the painting. Swain Brothers pulled out 3 men stuck in the sand — Firestone, Edison and Ford on a road trip looking for goldenrod, a potential rubber substitute. P.S. : It isn’t “the town of clowns,” but there is a clown school, and there are 27 clown cut-out figures scattered about the town. P.P.S. : It wouldn’t do to litter the streets of this pretty little town. Next week’s post will feature their trash cans. 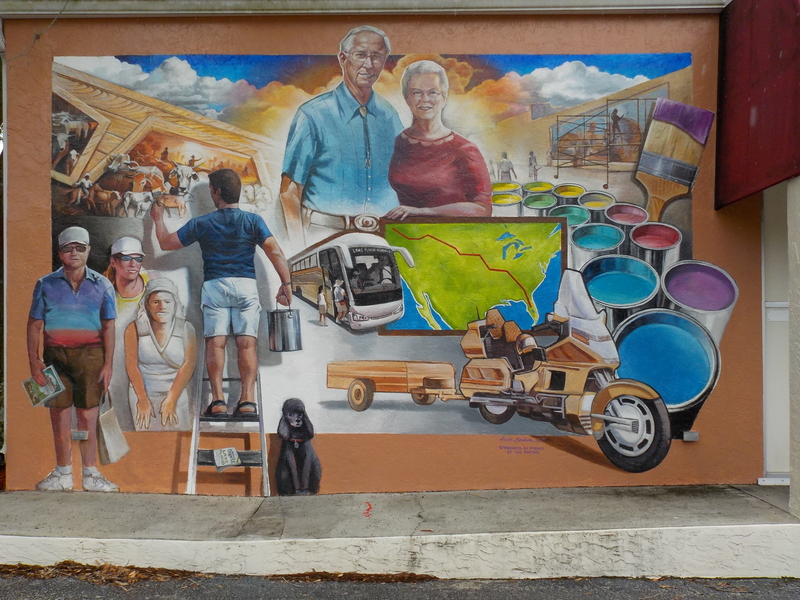 This entry was posted in The power of one [or a few], Travel Logs and tagged Art, Florida, Lake Placid FL, Murals, Photography, Travel. Bookmark the permalink. One or two really exceptional murals there Ray. I know just how hard it is to execute a successful mural as my first ever public commission was for a mural behind Covent Garden Opera House in London. Let’s just say, it wasn’t my finest hour as a painter, so kudos to these guys! Agreed. I had a post a while back on KIeth Goodson. Looking at his murals, he has developed a distinct style using architectural or other details to create frames and then having subjects step out of the frames. It makes his work both interesting and instantly recognizable. The murals in Lake Placid look so realistic and are so beautiful. Will look forward to the next installment. Love you both. Wow! Fascinating. Definitely a must-see the next time we are in the area. Thanks for posting.